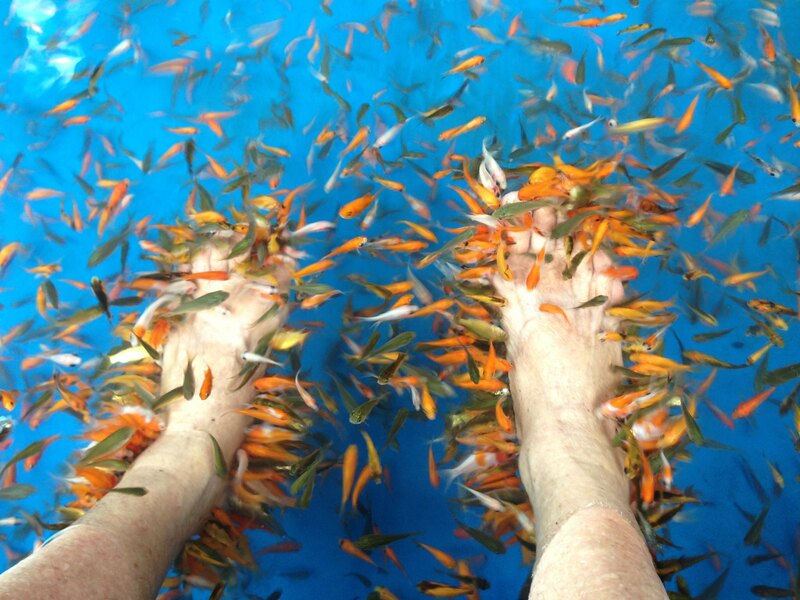 A fish pedicure, also known as a fish spa, involves patrons dipping their feet in a tub of water filled with small fish called Garra rufa. Garra rufa are sometimes referred to as "doctor fish" because they eat away dead skin found on peoples’ feet, leaving newer skin exposed. The tiny toothless carp that nibble away dead, callused skin from the feet of salon customers undergoing fish pedicures may carry bacteria responsible for a variety of dangerous skin and soft tissue infections, British scientists reported today.